In the 1970's while living at home, listening to the radio, I stumbled upon this new type of music made with a synthesizer, it was played by Walter Carlos and called Switched-On Bach, and I was hooked on both synthesizers and classical music. Likewise, Thomas Dolby has a colorful musician career that also started out with synthesizers and now he has a popular YouTube channel. What if music were to embrace principles from AI and deep learning? Experience his keynote on Tuesday, June 4th at 9:20AM in the Keynote booth 1145. As an avid cyclist I also have a bond for motorcycle riders, because we both share a common two-wheel ethos and experience the gradual electrification of our transportation. Bas Verkaiak and a group from the Eindhoven University of Technology actually built an electric motorcycle, then rode it around the world in just 80 days. After completing such an epic feat, the group spun off and created SPIKE Technologies. Find out how this energetic group created their own electric motorcycle and what they learned along the way. Wednesday, June 5th at 9:20AM at the Keynote booth 1145. I love watching SciFi movies where the plot involves getting into the human mind and creating an alternate reality, think The Matrix. James DiCarlo, MD, PhD from MIT is studying Human Intelligence (HI) and Artificial Intelligence (AI), and has an approach using neural network models to form the next generation of computing. How we humans use vision will be the focus of this Keynote held on Thursday, 9:20AM at the Keynote booth. If you've been reading SemiWiki over the past 12 months, then you recall that most of the recent VC money is pouring into AI startups that are doing new chips and software to tackle AI challenges. Hava Siegelmann from DARPA is presenting a Sky Talk on Monday at 1PM in the DAC Pavilion, booth 871. Find out what she's learned in AI by studying nature, like Super Turing computation, stochastic and asynchronous communication, adaptivity and interactive computation. I started out my IC design career doing DRAM chips, so I love all things memory related. The two biggies in memory today are NAND Flash and DRAM, so find out from Micron expert Gurtej Sandhu, Ph.D. how memory companies are squeezing even greater densities with each new process node. 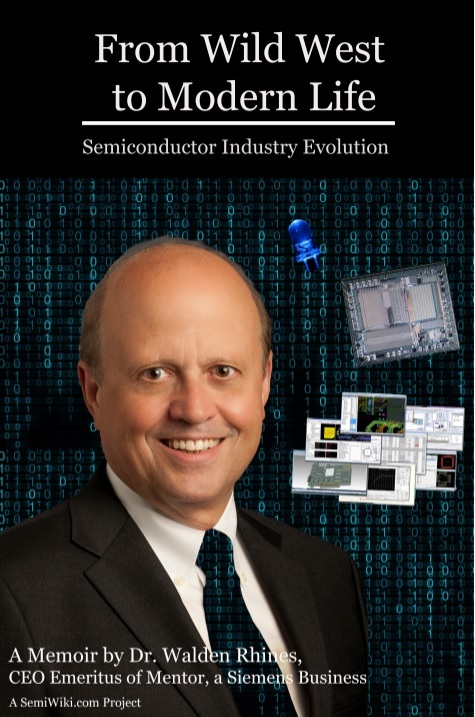 How in the world do they keep developing to 5nm and smaller. His Sky Talk is on Tuesday, June 4th at 1PM in the DAC Pavilion. I first met Serge Leef while at Mentor in Wilsonville, Oregon and have kept in touch with him over the years, and since August 2018 he's been with DARPA as a program manager in the Microsystems Technology Office (MTO). Literally every week I read headlines about cybersecurity threats and data breaches, so his talk will delve into the area of automating security into the actual chip design process. This Sky Talk is on Tuesday, June 4th at 2:15PM in the DAC Pavilion. Plan on attending DAC this year from June 2-6 in sunny Las Vegas, get the big picture and inspiration from the Keynotes and Sky Talks, and meet these interesting speakers and some of us SemiWiki folks as we walk around the exhibit area, learning more about our semiconductor industry up close. There should be 6,000 attendees and over 170 companies in the exhibit area, along with the strong technical program.